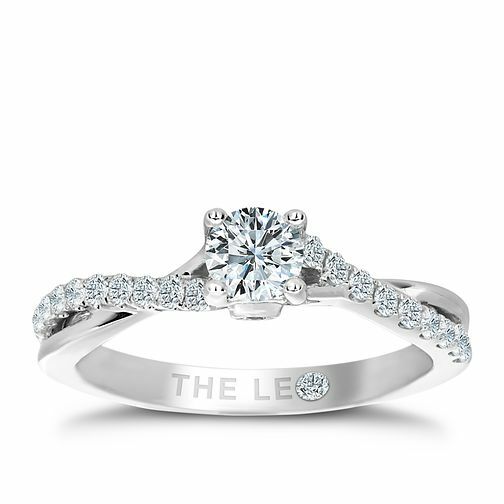 Utterly captivating, this piece by Leo Diamond is crafted in sleek platinum and set with a solitaire diamond resting delicately atop twisted split diamond set shoulders, totalling 2/3ct. With its unique facet design, the Leo Diamond is the first diamond to be independently measured for its fire and brilliance. Certificated by IGI & Gemex.